If you are dreaming of flying model aircraft in the Alps you can’t go wrong at the Glocknerhof in the Carinthian Upper Drautal Valley. The hill soaring airfield on the Rottenstein (1,350 m above sea level) is exclusively reserved for guests at the Hotel and offers fantastic thermals from spring through to late autumn. 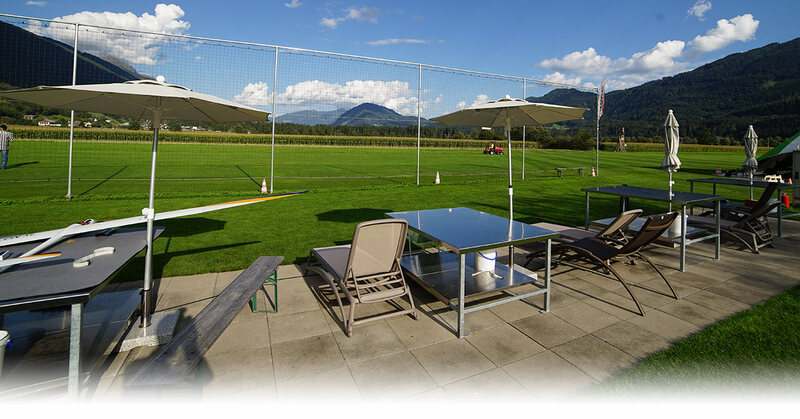 Model Airfield Glocknerhof: At hotel’s model aircraft airfield there are two grass runways, eight assembly tables, power supply (230 and 400 V), potable water, comfortable toilets and WiFi available for engine-powered models, gliders and helicopters. There is also a place for hover with four tables, potable water and WiFi about 200 m southward of the mainfield. The Model Airfield Glocknerhof is directly below the Hotel at the bottom of the valley, 2 minutes’ drive or 10 minutes’ walk from the Hotel. 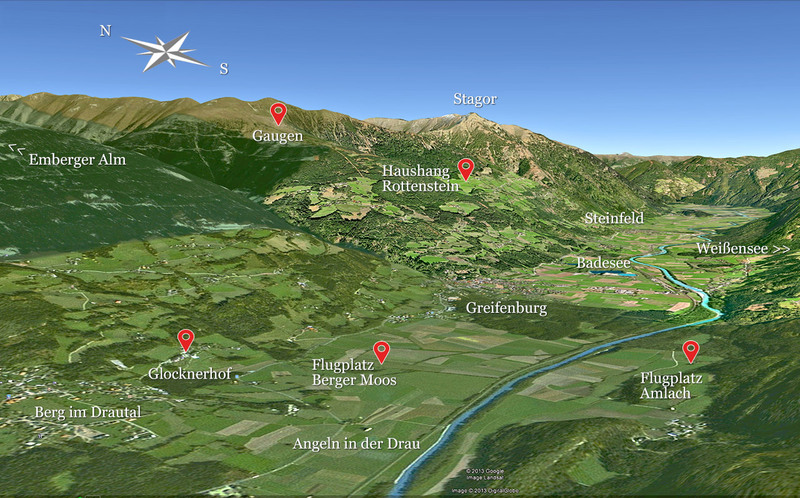 There is another model aircraft airfield in Amlach south of the River Drau that can be reached in 10 minutes by car. The Rottenstein hill soaring area is only 20 minutes away. At the Glocknerhof itself you will find hobby rooms where models can be kept and repaired. If you need somebody to build or repair a model aircraft, we offer a Service for Model Aircraft Building. A requirement for using the model airfield is valid public liability insurance. Please fill in the registration form for model aircraft pilots.